Originally published on February 6, 2019 in Country Guide. It’s a term that’s often loosely used, and it isn’t well understood at any level. Yet it may become one of the dominant yield limitations in your crop production within the next few years. Water-use efficiency has been part of agronomy’s lexicon for decades, yet as yields have increased, its definition and how it functions have been blurred and confused. At its simplest, water-use efficiency can be defined as the amount of water it takes to make a bushel of grain. Other definitions rank it as the amount of yield per unit of water applied, or the yield per unit of soil-water used. For Dr. Hugh Earl, the more scientific rendering is: Water-use efficiency equals total crop biomass divided by the volume of water the crop transpires in its life. In other words, it can seem pretty remote from anything a crop manager would need to know on a day-to-day basis. But it isn’t. The total biomass is the dry-weight of the crop with the water removed. In a greenhouse lab, it’s a fairly simple computation: just weigh the pots every day to determine how much water the plants have transpired, then harvest the entire plant, dry it down and measure the dry-weight. On a field scale, measuring water-use efficiency does become more of a challenge. Anything that affects biomass accumulation will affect water-use efficiency, as will anything that affects water use. In humid areas, water-use efficiency will be naturally high because the plants don’t transpire as much water. In a drier environment, it will be lower. Overall, according to Earl, water-use efficiency in agriculture has been increasing steadily since the Industrial Revolution. A lot of different factors are involved, but one reason is related to the fact that atmospheric CO2 concentrations have increased, which has directly increased water-use efficiency. In a short-term scenario, higher CO2 levels are actually a good thing for crops because CO2 is good for photosynthesis. That means higher CO2 concentrations are a net benefit to water-use efficiency, for now. When we factor in any temperature increase from higher CO2, not surprisingly, the picture isn’t so benign. In a short-term scenario, higher CO2 levels help with photosynthesis and also with water-use efficency. Photo: Supplied. In plant biology, photosynthesis cannot occur without water use. The two are linked. The tendency is to have more water use when there is more photosynthesis, the reason being that in order to get CO2 inside of the leaf, the stomata (the pores of a leaf) must be open. If the stomata are open, water escapes via diffusion. Plants need water for lots of reasons but quantitatively, this diffusion of water out of leaves (transpiration) accounts for essentially all of the water that crops use. It’s an interesting pattern that takes shape, particularly with the prospect of climate change. With higher CO2 levels, a plant can have its stomata more closed and maintain the same photosynthetic rate or keep the stomata open and have a higher photosynthetic rate. Either way, water-use efficiency is increasing but in the former case, soil water is conserved: in the latter, growth rate is enhanced. Contrary to how the terms are used, water-use efficiency is not the same as drought or heat tolerance. A number of innate characteristics combine in a hybrid to convey a greener and healthier plant, capable of withstanding conditions where heat is high and moisture is low. But understanding the difference between water-use efficiency and drought tolerance is not the key point in the discussion for Peter Johnson. Instead, for Johnson, it’s realizing that as yields continue to increase, we may reach a point where water-use efficiency actually becomes a limiting factor. Nor have breeders or researchers been able to drop that two-millimetre threshold for producing a bushel of grain down to 1.5 millimetres. 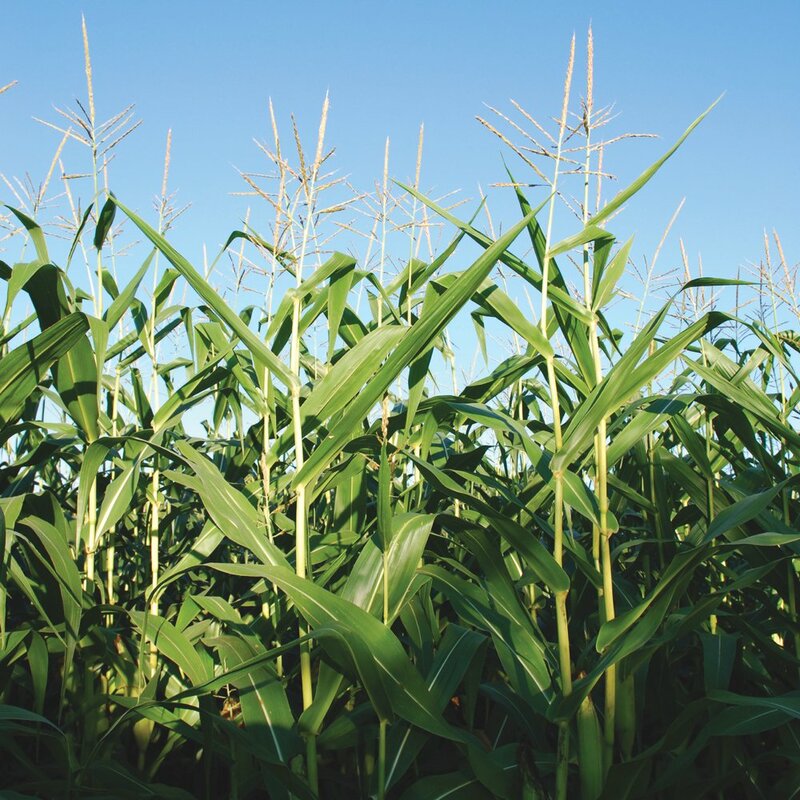 The trend on corn yields — as well as those in soybeans and wheat — is upward, whether it’s due to grower management, the plant genetics or a combination of the two. But at some point, there’s a ceiling to those yields. In order to keep driving them higher, says Johnson, the plant roots must access more of the soil moisture, which is fine provided there’s water there that’s not currently being utilized. If Ontario typically gets 20 inches of usable precipitation per growing season, that’s 500 mm of rain. According to the literature, that would translate to 250 bushels of corn per acre. If the plants don’t become more efficient with water, then theoretically, that would be the ceiling. Using Ontario Corn Committee trial sites, Greg Stewart, now a sales agronomist with Maizex Seed, determined that two millimetres of added rainfall is equivalent to a bushel of yield. It wasn’t a hard and fast rule, but Stewart was trying to determine a similar point with respect to water use, i.e. 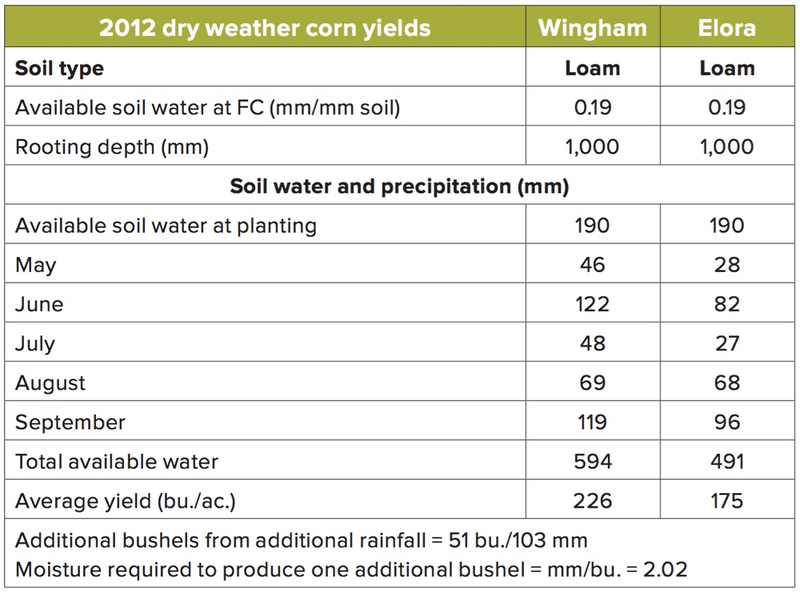 when does rainfall become the limiting factor? He approached it from the standpoint of attempting to build up general stress tolerance as a means of improving water-use efficiency. “If the dry climates get drier, unless we have improved water-use efficiency, we won’t grow corn there — we’ll have to grow sorghum or some other crop that’s naturally drought-resistant and yields less. That’s the bottom line,” says Johnson. Many elite growers state that if your corn plant is not green from top to bottom at 30 per cent moisture, you’re losing yield. The British, says Johnson, have found that a grower might gain four bu./ac. per day in wheat yield for every day that plant stays green through grain fill. From Earl’s point of view, water-use efficiency is affected by CO2 and temperature, and those affect stomatal activity — opening or closing to allow more or less water to transpire. From a breeding perspective, he suspects the effort has been for water-use to be more aggressive instead of more efficient. Drought tolerance in corn, on the other hand, has more to do with kernel development at tassel-silking, while in soybeans, the crucial phase is that part of reproductive development between R2 and R5. What really matters is that the crop is actively growing during that period, so that it creates and retains kernels or pods that can be filled later. It’s also possible that water-use efficiency has something of a regional quality. In Western Canada and parts of the Great Plains in the U.S., water availability can be an issue. Both regions experience a drier climate and some parts rely more on irrigation, particularly in the U.S. That’s why Earl believes water-use efficiency may be more important in Ontario than in those regions that rely on using additional water resources to aid in production. The trend he’s seen, although the evidence is mainly anecdotal at this point, is that in the Ontario growing environment, it’s beneficial to have plants that are “gamblers” with water. They tend to have more open stomata and if it’s becoming dry, they tend to keep behaving as though they “believe” that more water is on its way. 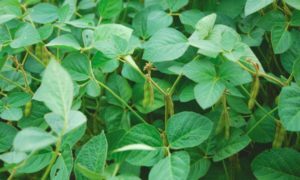 Earl’s research into water-use efficiency in soybean indicates that this may be the right strategy for Ontario’s environment. “Basically, if we could convince plants to waste a bit more water, we’d actually come out better — in southwestern Ontario,” says Earl, adding that there is some data to support that theory but it’s inconsistent, year-to-year. Earl’s group looked at adapted soybean varieties in the Group 0 relative maturity range and measured the water-use efficiency in greenhouse experiments, and then looked at how they compared in the field in irrigated versus non-irrigated conditions. The relationship was only clear in one year of a three-year study, but Earl found a trend that the varieties with lower water-use efficiency — more open stomata — exhibited less of a yield difference between irrigated and non-irrigated conditions. In other words, they weren’t as hurt by naturally occurring soil-water deficits. In the other two years, however, there was no relationship between water-use efficiency and variety performance in the field.